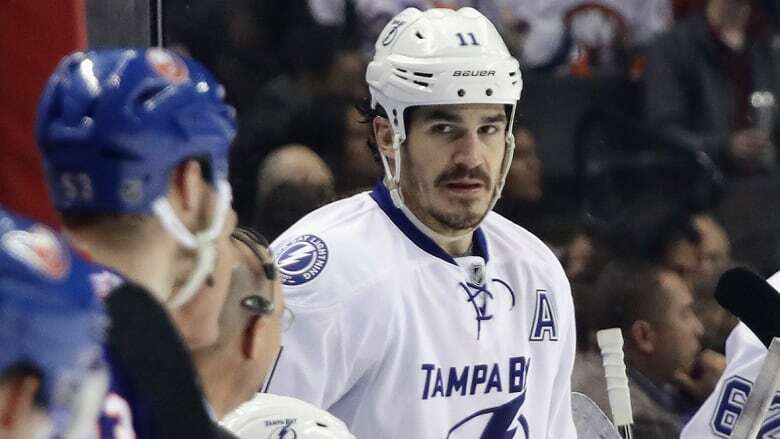 The Toronto Maple Leafs have plugged a year-long hole at the fourth-line centre spot, swinging a trade with the Tampa Bay Lightning for Brian Boyle on Monday afternoon. Brian Boyle was still with the Tampa Bay Lightning when he shut down for a pre-game nap on Monday morning. The 32-year-old woke to news that he'd been traded to the Toronto Maple Leafs. "It's a little bit of what do I first?" Boyle said of initial emotions to the trade, which sent a conditional second round pick in 2017 to Tampa. "Do I start packing a bag? Do I take a shower? It's different. It really is a different feeling." Boyle will likely play a very familiar role with the Leafs though, as the capable fourth line centre head coach Mike Babcock has been searching for all year-long. It's a role Boyle wore well over three seasons with the Lightning and in five seasons prior to that with the New York Rangers. Babcock will love the size Boyle offers — six-foot-six and 244 pounds — as well as his effectiveness in the faceoff circle. Boyle has won 53 per cent of his draws this year, including 50 per cent on the penalty kill. He'll likely be trusted to take not only shorthanded faceoffs for the Leafs, but key defensive zone draws — of which he's won 51.4 per cent. Toronto sits dead-last in the NHL in winning just 46.2 per cent of defensive zone faceoffs this season, including a 44.6 per cent showing from Ben Smith, the most-used fourth-line centre to this point. Unlike Smith and a rotating cast of pivots in that spot, Boyle offers some offence too (13 goals and 22 points), shows well in puck possession (53 per cent) and can even play in front of the net on the power play if needed. "There's some smart minds behind that organization in Toronto and I think they know what player they're getting and that's what I'm going to do," Boyle said on a conference call, about two hours after word came his way of the trade. He'll offer the Leafs much-needed depth down the middle, an area that's been exposed all season and especially of late. Boyle was a rumoured free agency target for Toronto in the summer of 2014, but he opted for Tampa on a three-year pact worth US$6 million that expires after this season. He was admittedly stung to leave the Lightning during a trying season, which also saw Ben Bishop dealt to Los Angeles on Sunday night. Still, Boyle saw similarities between the Lightning squad he joined three-plus years ago and the one he's joining in Toronto. His Leaf debut is likely Tuesday night in San Jose. "When I came down to Tampa I was excited about the opportunity and it was a younger team, relatively untested and we went to the Cup final that year so the potential and the opportunity is there," Boyle said. "And I think the skill level is for sure there." He was especially intrigued to line up with Auston Matthews, a fellow American centre spearheading real upward movement for the Leafs in the last calendar year. Toronto sold off assets at last year's trade deadline, notably, and then recalled a number of top young prospects, including William Nylander, who's shined alongside Matthews and Mitch Marner this season. "They have some guys in there that are just phenomenal, phenomenal players that are going to be really good," Boyle said. The Leafs' limited depth down the middle was exposed over the weekend in a 3-2 overtime loss to Montreal. They were without Tyler Bozak (hand) for the key divisional game — Toronto could have pulled within two points of Atlantic Division-leading Montreal — and were hurt for it. Bozak's replacement in the lineup, Smith, got hammered in the faceoff circle (3-11) and in the puck possession battle at even-strength. "I think we have good depth in lots of spots, not as much at centre ice," Babcock said afterward. Bozak is expected back from injury on the Leafs upcoming California road trip, the club boasting a solid group of centres with Boyle now in the mix. The Massachusetts native will slot into the fourth spot with Bozak back and Matthews and Nazem Kadri firmly entrenched in the first- and second-line positions. Twenty-one-year-old Frederik Gauthier has been minding fourth line duties of late for the Leafs, but he's been largely ineffective and not ready for a regular NHL role. Gauthier hadn't been used on the penalty kill, a staple of the fourth-line centre gig under Babcock dating back to his days with the Detroit Red Wings. Babcock had winger Leo Komarov take the majority of shorthanded draws against the Habs and opted for Zach Hyman, another winger, on the lost faceoff which ultimately led to Andrew Shaw's overtime winner. Traded to Tampa in the deal for Boyle, Byron Froese was another brief occupant of the fourth line centre spot as was Peter Holland, who was dealt to Arizona earlier this season. NHL trade deadline: Who's on the block?